Just as reports surfaced that Veyron was stripped off its title as being the world’s fastest car, Bugatti although didn’t take the matter lightly but it rather accepted the challenge gracefully and went to its not-so-secret test track in Ehra-Lessien to post a new top speed world record for a open-top (read: convertible) car. The new record was made, the new Vitesse was crowned the world’s fastest car amidst confusion about Veyron and Hennessey Venom GT’s record attempts. Guinness book of world record later on revised its results and gave the crown back to Veyron as the world’s fastest, all while Bugatti also took away the open-top fastest car title. Recently named the world’s fastest open-top production car, after reaching a top speed of 254.04 mph (408.84 km/h) at Volkswagen’s Ehra-Lessien proving grounds, the Bugatti Veyron Grand Sport Vitesse was introduced to the public for the very first time at this year’s Shanghai Auto Show. 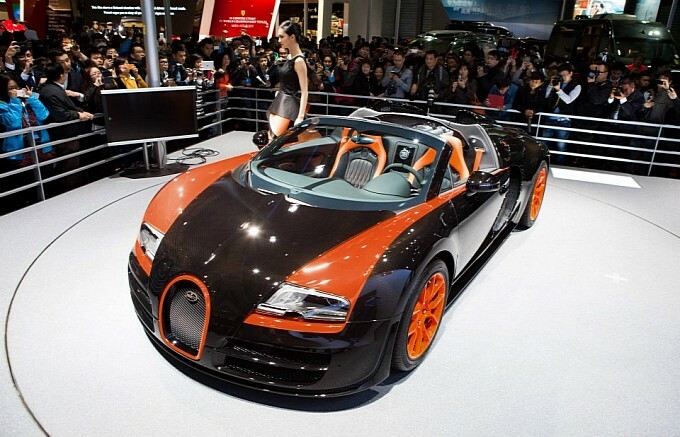 The car that reportedly “stole the show” with its striking black and Arancia orange dual-color scheme, will be built in only eight examples with pricing set to start from $2.60 million (€2 million) before taxes. 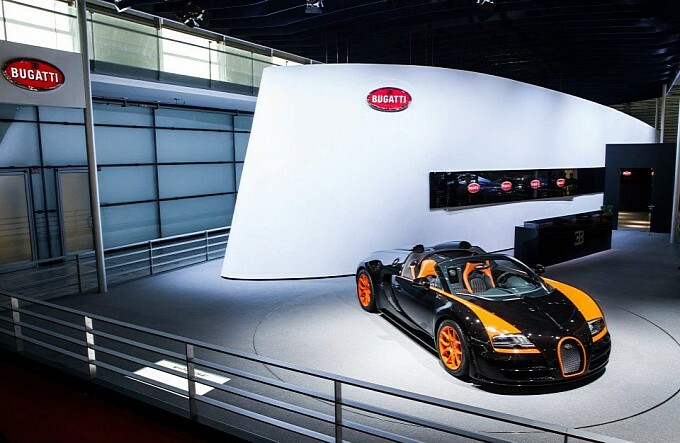 Powered by the familiar quad-turbo 7.9-liter W16 engine, the Bugatti Veyron Grand Sport Vitesse WRC puts no less than 1,200 HP to the ground through a dual-clutch seven-speed gearbox. 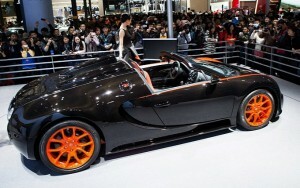 “After much anticipation, the Grand Sport Vitesse World Record Car was shared with the world at the Shanghai Motor Show. This future motoring icon drew crowds and looks of admiration in equal measure, with all in attendance struck by its striking dual-colour scheme in black and Arancia orange and impeccable detail throughout. 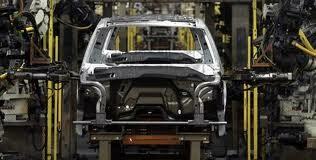 Naturally, the car stole the show, not to mention a few hearts too,” Bugatti said.